In an earlier travel journal I shared the story of a strong girl, who, in spite of her difficult life, fights like a little tigress for a better future. We let you know that there were options for her, and several people who read our mail responded with a commitment to her care. 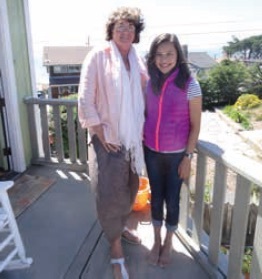 We usually do not mention people who donated to a project in our travel journals, but for these two girls in the US we wanted to make an exception. 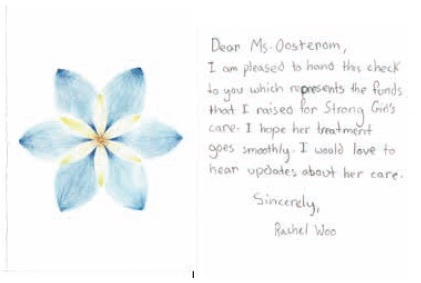 These girls, Rachel and Hopi, both 12 years old, heard from their teacher in California – a faithful reader of our journals – about the story of this strong girl. They decided to take it up to raise money to make the first surgeries possible. And they succeeded! When I was visiting friends in California I met Rachel, so that I could tell her in person about the amazing difference this surgery has made our Strong Girl’s life, not only in her appearance, but also in her place in her community. The other donations will make it possible to do the second surgery in December. It is our hope that this second operation will improve Strong Girl’s ability to speak. 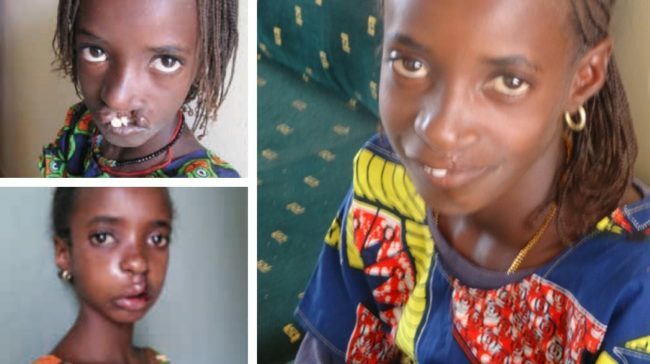 When we have the funds a third surgery will make repairs to her teeth possible. This will be a giant leap towards a new phase in the life of this girl. Sometimes Silent Work is NOT very silent.